The finest, roasted cacao beans are used to prepare Bols Creme de Cacao Brown. The cacao seeds are first broken open and then percolated. 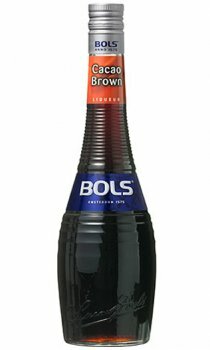 Various herbs are added to give Bols Creme de Cacao Brown its special flavour. Try with Crème de Menthe and mint chocolate Baileys for an "after eight" tasting cocktail that goes down as easy as a box of them at Christmas!